New research has advanced scientific medicine leading to clinical trials and the promise of advanced treatment. While we convene and fund the world’s leading researchers to find a cure for Batten disease, quality of life is equally important for those currently living with the diagnosis. We are also excited to launch an educational facility for children with neurological challenges that allows for therapeutic treatments on site and customized learning plans. Our Scientific Advisory Board guides us through the research and development process to cure Batten disease. Our initial primary focus is on Batten CLN6, but our goal is to expand to other Batten disease variants. 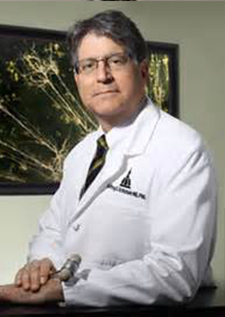 Professor of Neurology and Pediatrics and Chief of Pediatric Neurology at the David Geffen School of Medicine at the University of California, Los Angeles, and well as holder of the Rubin Brown Distinguished Chair in Pediatric Neurology. President of Sanford Research, Sanford Health Director at Sanford Children's Health Research Center, and Sanford Research Professor in the Department of Pediatrics at Sanford School of Medicine of the University of South Dakota. The John W. Griffin, M.D. Director for the Brain Science Institute, Professor of Neurology and Neuroscience, and Director for the Robert Packard Center for ALS Research at Johns Hopkins University. Director of the Board of Governors Regenerative Medicine Institute at Cedars-Sinai Medical Center, Professor of Medicine and Biomedical Sciences holding the Kerry and Simone Vickar Family Foundation Distinguished Chair in Regenerative Medicine, and Board Member at Emulate Incorporated. We are optimistic about the potential for research into restorative therapies involving stem cell transplantation. These therapeutic cells are customized and then applied to damaged areas of the brain. While in an earlier stage of development, the potential for brain regeneration is no longer in the realm of fiction. Funding research that could result in the rejuvenation of lost brain cells is a priority for the foundation, but the costs are massive. Progress on this front would have significant impact not only for Batten disease patients, but individuals suffering from neurodegenerative disorders of all kinds. Help us get there by supporting the foundation’s research goals financially. Our research team has identified a targeted approach to validate novel therapeutics for Batten disease using already FDA approved drugs, such as GRAS nutraceuticals and designer molecules that can potentially correct the mutated gene. This validation method involves patients’ own cells in culture to assess the effect of these compounds on restoring the function of the abnormal protein. As these agents are mostly safe for human use, there is high potential for lead compounds to move quickly into clinical trial, making them an exciting avenue as we seek a cure for Batten disease. With your support, we can get these therapies to clinical trials even faster. We are working with the world’s leading researchers studying gene transfer approaches to pediatric orphan diseases, and thanks to truly groundbreaking research supported by the foundation, we’ve made some exciting advances. One of the biggest obstacles for treating any brain disease is the inability of nearly all drugs and treatments to cross through the blood brain barrier, which prevents the entry of external compounds into the brain. Because of this barrier, potentially lifesaving treatments aren’t able to reach their intended target. But now, thanks to research supported by the foundation, scientists have discovered an ingenious way to overcome this barrier. This method relies on nature itself and on the behavior of a particular virus called Adenovirus (AAV). Through millions of years of evolution, AAV has figured out ways of infecting cells, including the brain, and now scientists have devised methods to harness this power while removing its infectivity. The replacement gene is delivered to the brain by inserting it into the AAV virus, allowing nature itself to deliver this potentially lifesaving technology. The malfunctioning of the mutated CLN6 gene is what causes Batten disease, and the replacement gene appears to help restore the functionality of the mutated gene. This allows cells to purge built-up wastes and restore balance in the brain. A first of its kind clinical trial has begun at Nationwide Children’s Hospital to evaluate this investigative treatment, providing hope for children with Batten disease all around the world. With your help, the foundation is committed to providing this potentially lifesaving opportunity to all eligible children. Batten disease is a rare, genetically inherited disorder that belongs to a group of progressive degenerative neurometabolic disorders known as the neuronal ceroid lipofuscinoses (NCLs). NCLs are characterized by genetic mutations which disrupt cells’ ability to dispose of wastes, resulting in the abnormal accumulation of certain proteins and lipids (fats) within the nerve cells of the brain and other tissues of the body. This results in progressive neurological impairment including developmental regression, seizures, blindness, behavior changes, and dementia. There are many forms of NCL. Mutations in at least eight different genes are known to cause Batten disease. Charlotte and Gwenyth have been diagnosed with Late Infantile Batten disease — read more about their story here [link to About page] — caused by mutation(s) in the CLN6 gene. This particular variant is extremely rare and the disease course can differ significantly among cases, making it difficult to predict. WHAT ARE THE SYMPTOMS AND WHEN DO THEY BECOME APPARENT? Early symptoms of Batten disease can include progressive vision loss, seizures, behavioral changes, and loss of motor skills in previously healthy children. Symptoms get progressively worse, resulting in blindness, Parkinson-like symptoms, and dementia. The different variants of the disease are distinguishable from one another in part by the age at which symptoms appear. Symptoms can appear as early as 6 months and as late as 43 years old. Children affected by Late Infantile Batten disease, including Charlotte and Gwenyth, typically begin to show symptoms between ages 2 to 4. HOW IS IT INHERITED AND HOW IS IT DIAGNOSED? Batten disease is inherited as an autosomal recessive trait, meaning the same abnormal gene for the same trait is inherited from each parent. Both parents must be carriers and pass on the defective gene. The risk for two carrier parents to both pass the defective gene is 25% with each pregnancy. Typically, diagnosing Batten disease requires a combination of testing including blood or urine tests, skin or tissue sampling, EEG, electrical study of the eyes, brain scan using CT or MRI, and enzyme activity measurement. The only definitive diagnosis for Batten disease is through DNA analysis. Due to its rarity, diagnosing Batten disease is typically a long, painful journey for families who receive many false diagnoses before the final Batten determination. HOW RARE IS BATTEN DISEASE? Batten disease and other forms of NCL are rare – occurring in an estimated 2 to 4 of every 100,000 live births in the United States. Late Infantile Batten disease, specifically CLN6 which Charlotte and Gwenyth have, is particularly rare. Before we began our work, it was estimated that less than 10 children were currently living with this variant of the disease. However, we have met many more than that, and the number may be closer to 25. As Batten disease is currently untreatable outside of investigative clinical trials, those affected will eventually become bedridden, fully dependent on their families or caretaker, and face premature death. Depending on the variant, Batten patients’ life expectancies can range from as young as 6 to adulthood (in the case of adult onset Batten disease). You can learn more by checking out our recommended resources. You can make a difference in the lives of children and families struggling with Batten disease. The Charlotte and Gwenyth Gray Foundation is working to find a cure, as well as aiding families in their journeys with Batten disease through our scholarship program. Help us fund the effort to find a cure by donating, or contact us about other ways of getting involved.